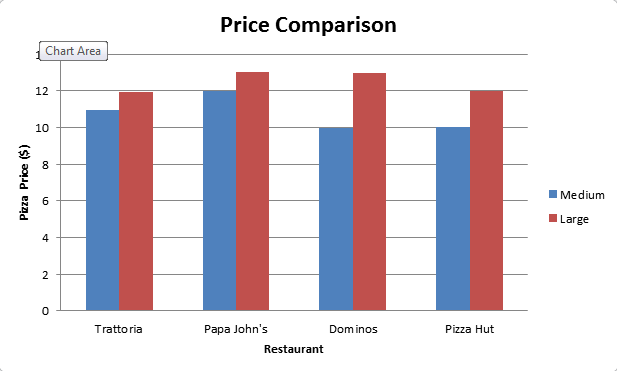 What this graph does not tell you is that, while the prices are comparable, our medium pizza is actually the same size as their large pizza! That means that our medium pizzas (14") are two inches bigger than our competitors' medium pizzas (12"), and our large pizzas (16") are two inches bigger than their large pizzas (14")! So, here at Trattoria we not only make better tasting pizzas with fresher ingredients, but you get more bang for your buck as well! Now that is unbeatable value!